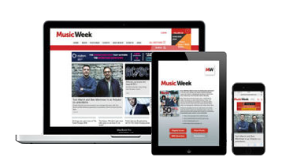 Musicweek.com's Sales chart section offers not only the main Official Charts Company UK Singles and Albums sales charts, but exclusive Midweek chart data as well as a wide range of specialist listings. Use the navigation above and below to view Music Week's whole range of the latest Sales charts, plus our extensive archive. YNW Melly	Murder On My Mind	300 Ent. This Chart is only visible on Monday between 5.45pm and midnight, and Wednesday between 5.45pm and midnight. Musicweek.com's Airplay charts section features Radiomonitor's weekly Top 50 of the most-played tracks on UK TV and radio stations.